Blackjack has been a popular card game since the 18th century. This article will look at the rules of the game and explain why 21 is the magic number. 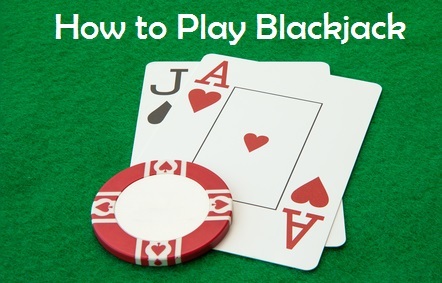 Usually Blackjack is played on an arc-shaped table, There are several variations of Blackjack, it’s always important to ensure that you check the rules of the version you are playing before beginning to make bets. The table includes information about the minimum/maximum bets accepted and details such as Blackjack pays 3 to 2,’ Insurance pays 2 to 1 and the dealer must stand on 17 and draw at 16. We’ll explain more about what this means later in the article. The game is generally played with one or more decks of 52 playing cards. In casinos the cards will be dealt from a shoe when using more than one pack that releases the cards one at a time. Each card has its own value apart from the Ace which has two. Numbers 2 to 9 have their face value and the 10, Jack, Queen and King all have a value of ten. The Ace has two values, namely 1 or 11 and this dual value will play a key role in how the game runs. The object of the game is for the player to beat the dealer. This won’t happen if their total goes above 21 as this means they have bust and lose their bet. Before the game begins, you need to make your bet. This is the amount that will determine how much you win or lose. It’s the dealer who runs the game, shuffling the cards and then dealing them out to the players as well as handling all the bets laid. The dealer gives themselves and each of the players two cards to start the game. You will be able to see the values of both of your cards but only the first one that the dealer has given themselves. The other one is known as the ‘hole card’ and remains hidden until all the players have played their moves. If your two cards total 21, you have what is called a Blackjack or a Natural and don’t need to draw any further cards. When you don’t get 21 from your first two cards, there are some decisions to be made. Mainly this is whether to ‘stand’ on your score if it is close to 21 or ‘hit’ for more cards to get you closer to or scoring 21. There are other decisions that will be explained shortly. You can keep hitting until deciding to stand on a total you believe will be a winner. However, there is the risk of going over 21 and busting, thus losing your stake. If your first two cards include one Ace, then this is termed a ‘soft hand.’ Remember the Ace is worth 1 or 11 and this comes into play when hitting for more cards. An Ace and a 6 is a ‘soft 17’ and if you hit and receive a 8, all isn’t lost as you can count the Ace as scoring 1, so you now have 15 (1+6+7) and could hit again. This process continues until all the players have decided to stand, have 21 or gone bust. Now the dealer has their turn, but they have few decisions to make as they have strict rules to abide by. If after their hole card is revealed, their cards total 17 or more, then they are required to stand. If below 17, they must hit until a score of 17 or more is achieved or they have bust. If the dealer must stand on 17, then you will be a winner if you have a score above this number which isn’t higher than 21. When you also have 17, this is known as a ‘push’ and your stake is returned. If the dealer has a score which doesn’t bust them but is higher than the total of your cards, then you lose your stake. Generally, your win is 1:1 (evens), so a bet of £40 wins £40. If you have a Blackjack from your first two cards this pays 3:2, meaning a win of £60 for a £40 stake. However, if the dealer has also been dealt a Blackjack, it’s a push and your bet is returned. This occurs when you are dealt two cards with the same numerical value. You can now split your hand, so you’ll be playing two rather than one. You can place another bet, this must be equal to your first bet. Both hands are played independently but if you have two Aces, only one more card is allowed. When playing blackjack online with live dealer casinos, it is rate that you can split more than two times. This topic is covered extensively on LiveDealers Blackjack page, where you will also find a comparison of providers and their house drawing rules. This allows you to double your initial bet If your first two cards total 9,10 or 11. You will only be allowed one more card. If you are dealt two fives (total score 10), you can either split, double down or just play a regular hand. Most casinos will allow you to double down after a split, but for some reason live online blackjack suppliers like Evolution Gaming and Ezugi do not allow this. If the dealer’s card is an Ace, you can make a side-bet. This can be up to 50% of your original bet and the wager is on the dealer’s other card having a value of 10 which would give them a Blackjack. If any such bets are made, the dealer looks at their hole card and if worth 10, it’s turned over and players will have won their insurance bet and paid double the amount of their secondary bet. Some versions of the game allow you to forfeit your hand after being dealt two cards, This may happen as you aren’t confident of beating the dealer (their one visible card may be an Ace or a 10-value card) and you will receive 50% of your bet back. When playing in a casino there will be a house edge. This is the profit they expect to make expressed as a percentage of the player’s bet. A house edge of 4.5% means the payout percentage to the player is 95.5%, so for every £100 wagered, the casino aim to make a £4.50 profit. The figure is calculated after a series of trials and are averages, so some players will win more, others less. As you can see this isn’t the most complicated of games but there are rules that must be learned before placing real money bets on this game.